Still too busy to blog about our Accra experiences - save to say it was lovely to be in a totally different West African space. 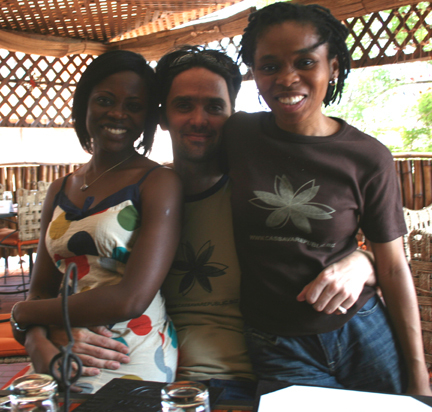 Here I am with our beautiful friend Abena and Bibi at a great restaurant called Buka in Accra. The yam and stew was excellent..
Oi, I want one of them shirts.